Chelsea teammates leap to the defence of Diego Costa. 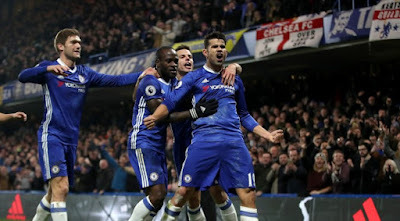 Diego Costa made a goal-scoring return to the Chelsea team in our 2-0 victory over Hull City and some of his Chelsea teammates have leaped to his defence stating that he is fully focused here at Chelsea. We could not have wished for a better afternoon for Costa on a personal level. He received a fantastic reception from the Chelsea fans before, during and when he was substituted late on in the game ( a nice touch from Conte ) and he scored yet another goal to continue his impressive form with a celebration aimed at those that talk too much about him. 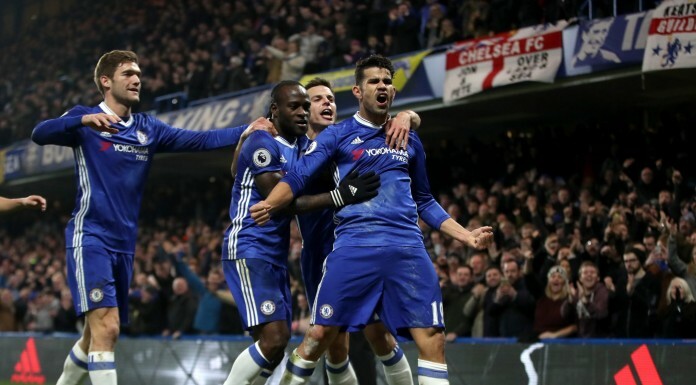 Without question, Costa answered his critics with a personal performance of the same level we have witnessed throughout the course of the season so far. There was no dip in form and he didn't look like a player frustrated with life at the moment at all despite what we may have chosen to read over the past few weeks. 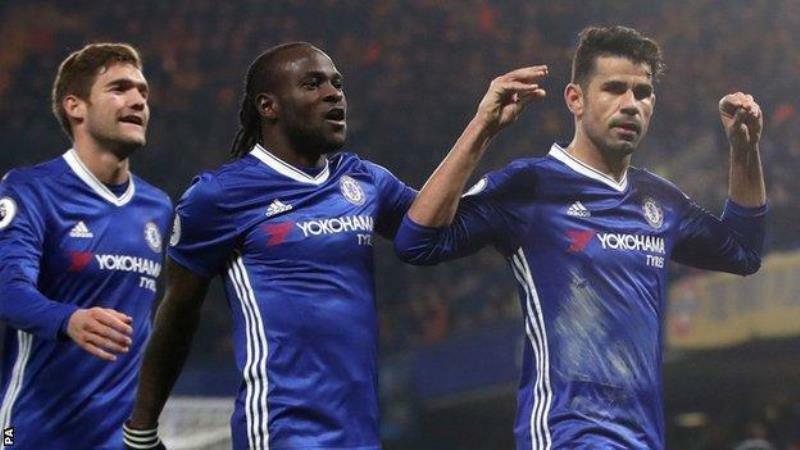 After the game, Pedro, Cesc Fabregas and David Luiz all took the time to speak about Costa and to reiterate his commitment to Chelsea, his importance to the team and his form this season. “Did I speak to him? Yes and his focus is on the team, the game, this season to fight for this title. This ambition Diego shows is good for the team. With the team he has been training very well. He is very happy to be here in the club, this is the most important thing. Yes. Diego is probably the best for this team. He is a very good striker. (At Barcelona) I have played with important people, important players like (Zlatan) Ibrahimovic. But Costa is a very good striker too, a very good runner, strong physically and scores more goals for the team. He is perfect for this team." - Source: The Sun. "We need him if we want to achieve our targets. It was a good goal and he’s always there when we need him. We know what Diego brings to the team, nothing needs to be said about that. We’re pleased he’s back." - Source: Metro. "That's his job, to score goals, and he works on that every day. He does his job very well. He's a great player who's in fantastic form right now. He's playing well, and I'm happy for him because sometimes people talk a lot without knowing anything, and he's had to go through that. But it's normal people talk about the best players in the world, Diego is one of them. Everyone has offers, everyone has things to talk about. He's happy, always wants to play football, that's what's important for me." - Source: The Sun. It was such an important afternoon for Costa and for Antonio Conte. With Brentford coming up in the FA Cup this weekend and (you would have to believe) a weekend off for Costa with Liverpool and Arsenal coming up next week, it was vital to get him back into the team last Sunday. The fact he scored and produced another excellent performance was an added bonus. Diego Costa remains happy at Chelsea and fully focused on our goal of winning the Premier League for the fifth time. Let's see what happens between now to the end of the season and next summer!